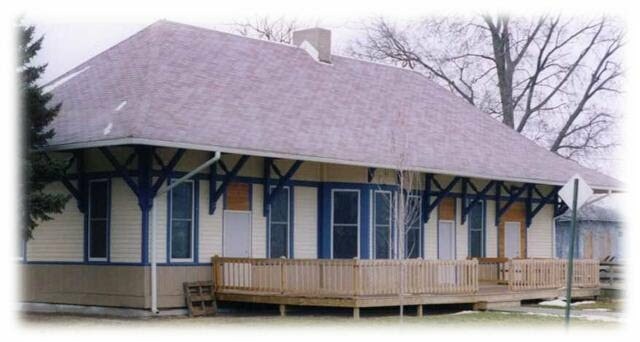 Our officers decided that the management of the Lyons Train Depot would be carried out as a community service project. 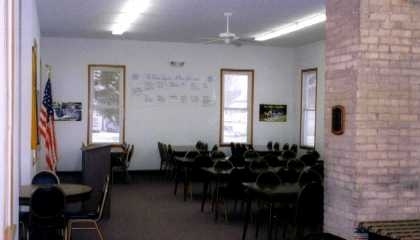 The depot can be reserved, free of charge, by local non-profit groups for their meetings. 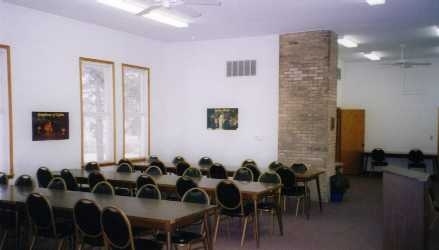 It may also be reserved by current and past Jaycees for private gatherings. For more information, contact Jeff Atkinson at home 563-243-4627 or work 563-242-2265. In the spring of 2015 the Depot received a facelift. The building has been re-painted the deck re-sealed. The Chicago, Milwaukee & St. Paul Railway depot (right) at its original location. Photo courtesy of the Clinton County Historical Society. 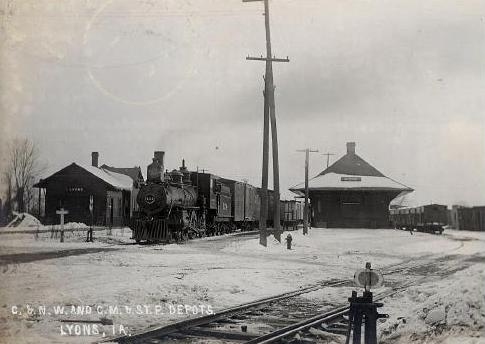 The Lyons Train Depot is now located in the north end of Clinton, Iowa at 56 25th Avenue North; just northeast of the bustling Lyons Shopping District. 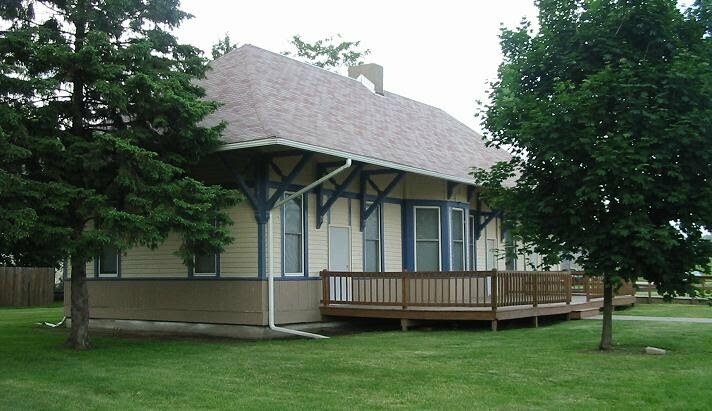 This building once served as a commuter train station for the Chicago, Milwaukee & St. Paul Railway in the city of Lyons, Iowa. Lyons was eventually annexed by the city of Clinton. The above pictures show the the Lyons Train Depot during the early stages of renovations. 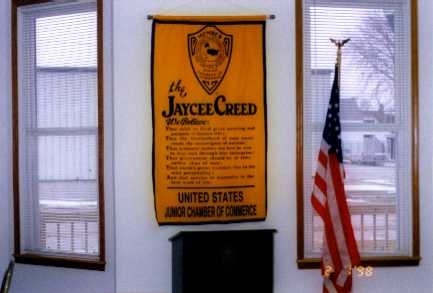 The Clinton Jaycees removed the old floor and the center wall so needed repairs and replacements could be made to the floor joists. The old brick chimney (pictured on the left) that once exhausted smoke from a cast iron pot belly stove was salvaged. This chimney adds character to the renovated building. The picture below was taken shortly after the new doors were installed and the front deck was added.